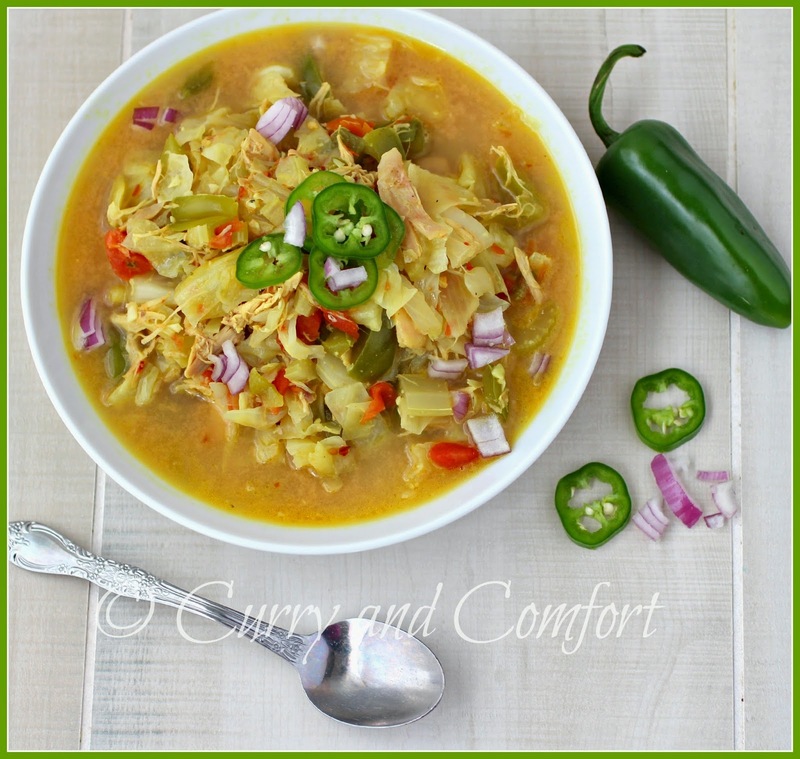 Swimsuit season is fast approaching and if you want to eat healthy, but don't want to give up your love of spicy food.. this Thai Cabbage and Chicken Soup is your answer. 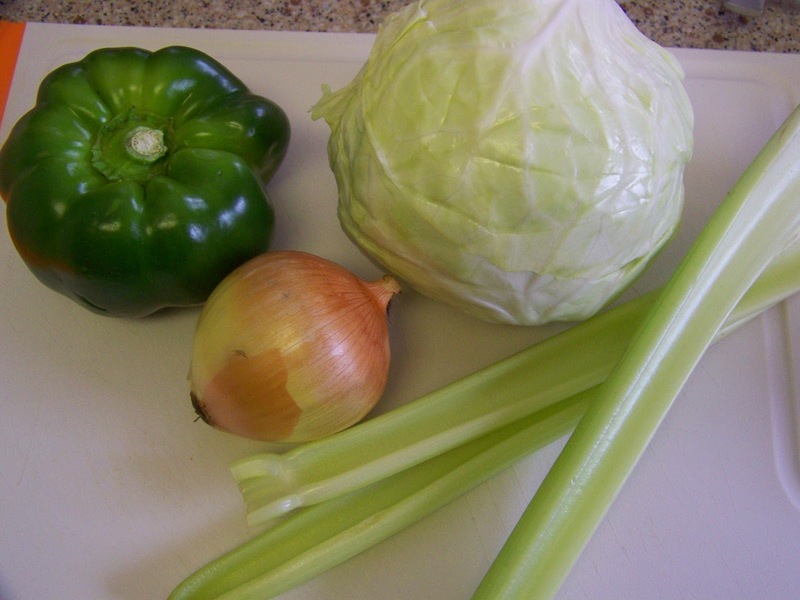 Have you ever heard of the Cabbage Soup diet? 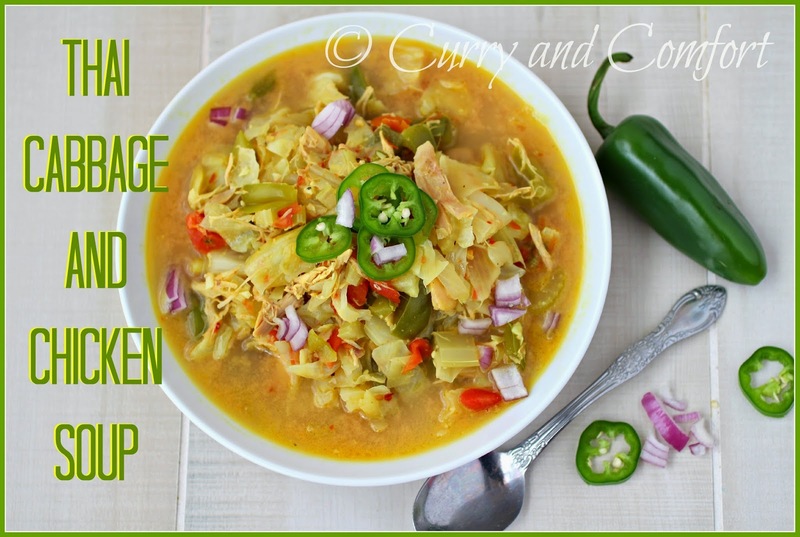 I tried it once and I swore I would never eat cabbage soup again. 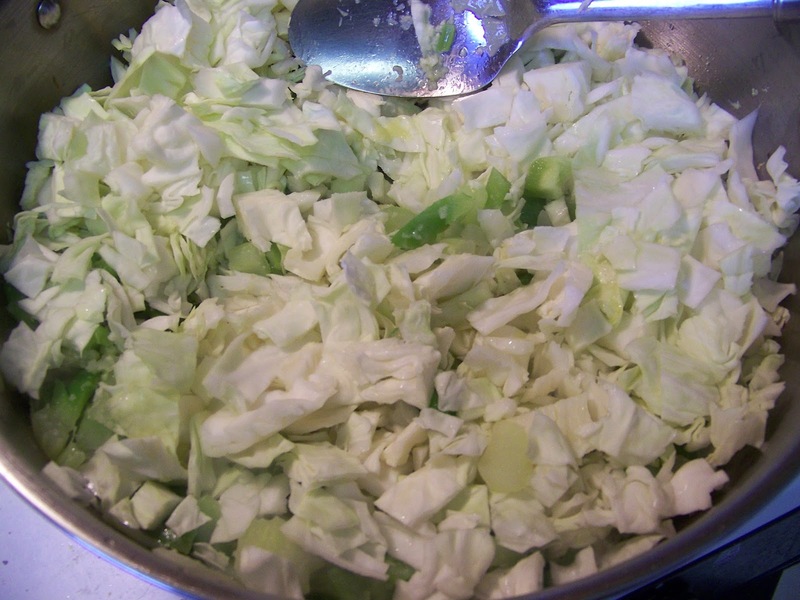 This is NOT that cabbage soup. 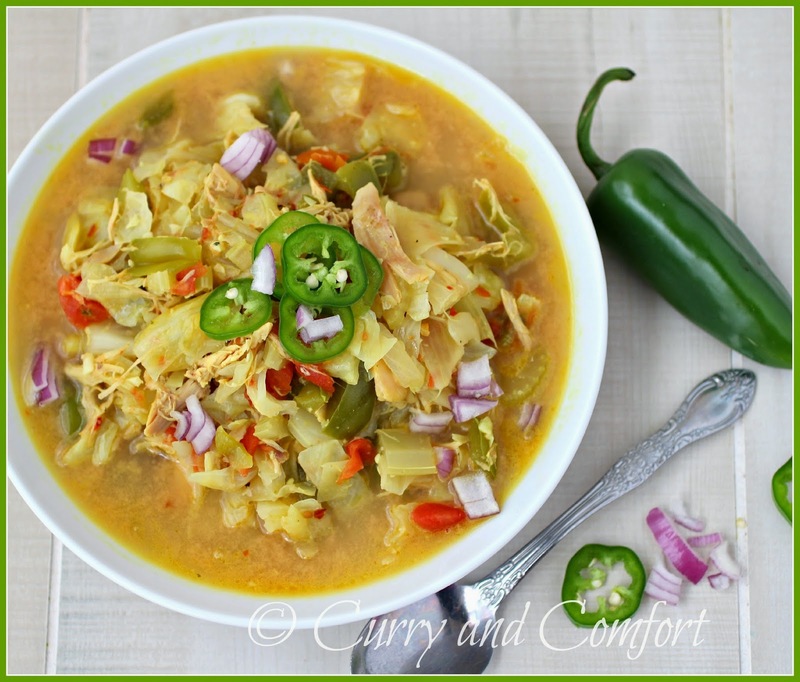 This is a delicious and bold Thai inspired cabbage and chicken soup. The protein from the chicken helps satisfy your hunger. The soup is low-carb and I can eat two bowls of it without feeling guilty. 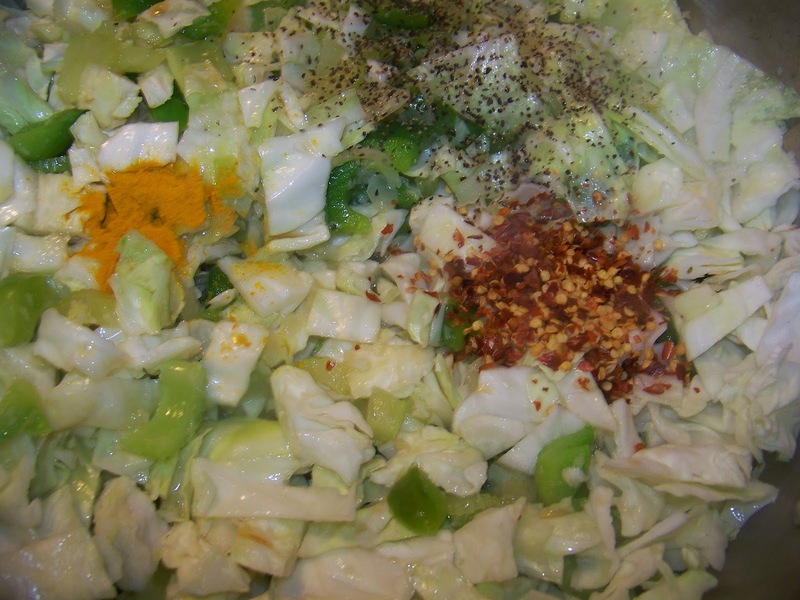 There is good fat from the coconut milk, lots of healthy ingredients like ginger, garlic, turmeric and of course cabbage. 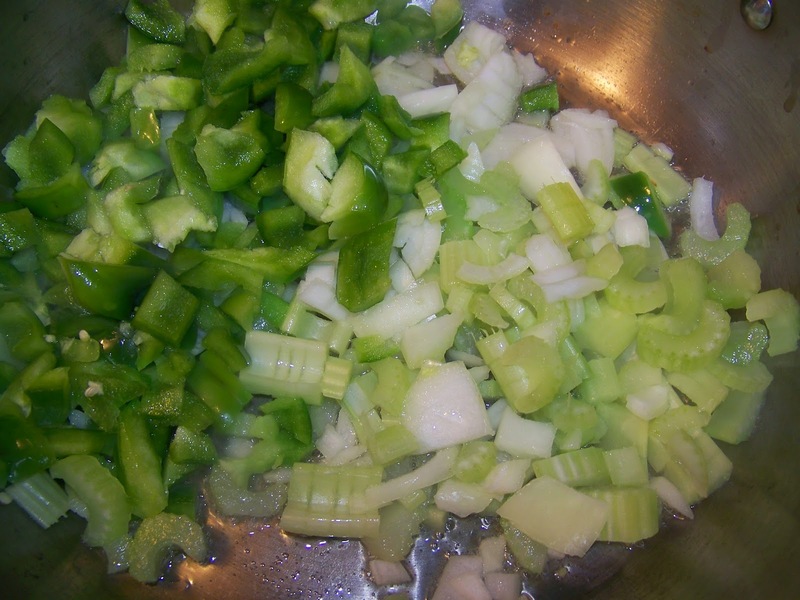 Since the cabbage and the other vegetables get cooked down, I added some fresh chopped onion and some jalapenos for extra crunch. I also added more sambal oelek to the soup bowl. 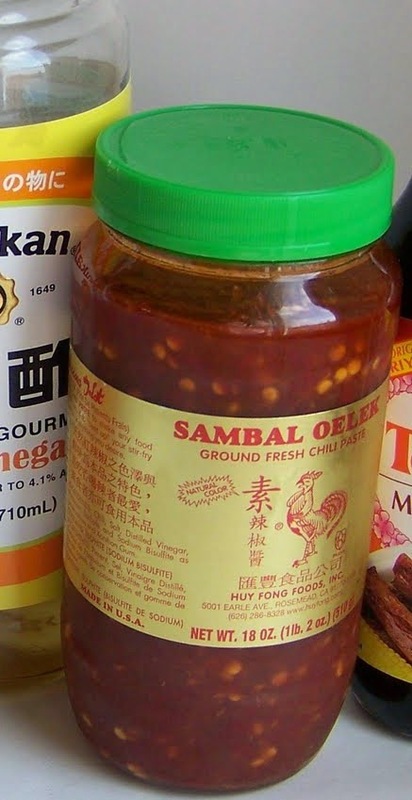 Sambal oelek is one of my favorite condiment obsessions...if you haven't tried it yet.. you should! Then add chicken stock, shredded chicken, vinegar, fish sauce, diced tomatoes and sambal oelek (this is available in most grocery stores or in Asian markets). 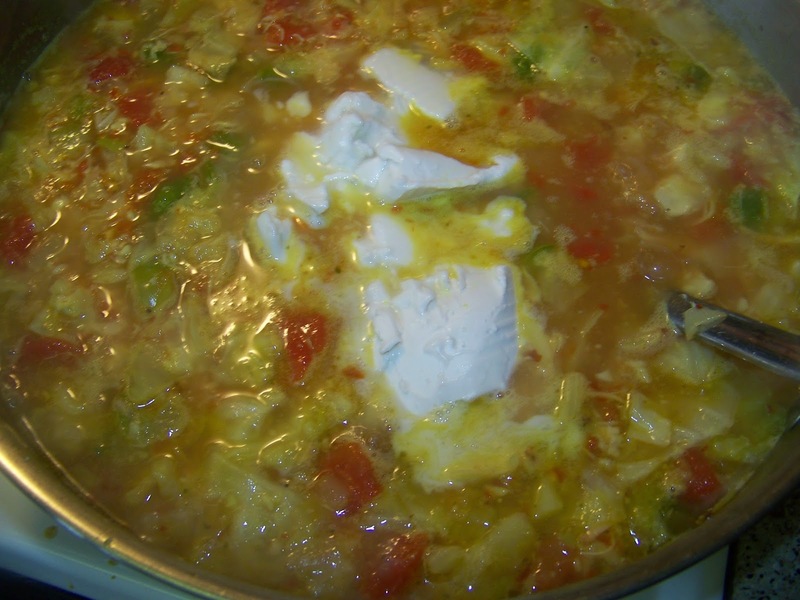 Simmer soup for 15-20 minutes. Finally add coconut milk and simmer soup for another 3 minutes. Taste for seasoning. If more salt is needed add fish sauce or serve at the table. 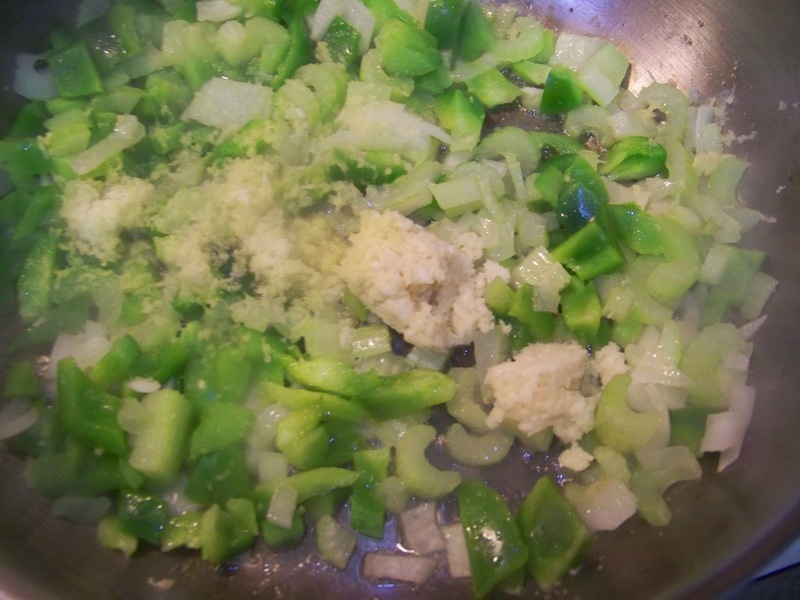 If the soup turns out too salt, dilute with a little water. Serve hot. Garnish as suggested above. Enjoy. That cabbage soup diet was brutal! 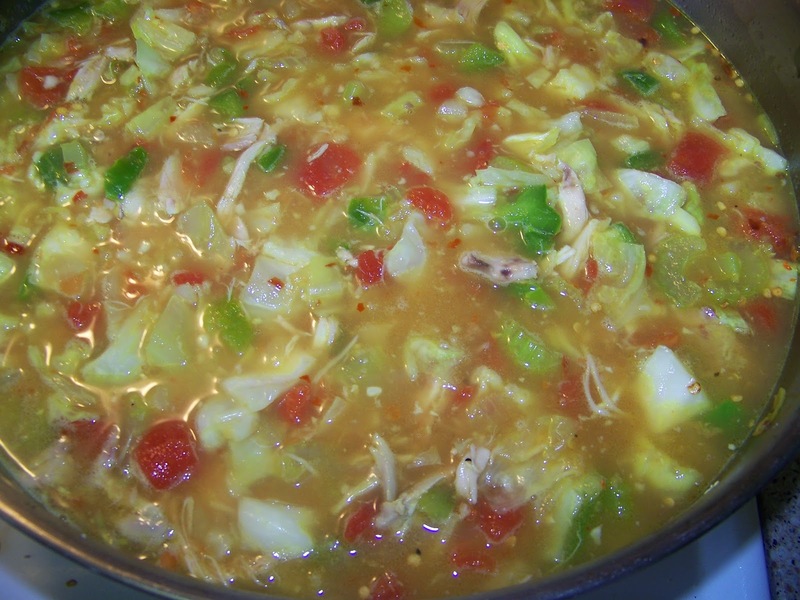 Thankfully, you've given us a more delicious and friendly way to enjoy cabbage soup. I would imagine if you put a cup or two of lentils in this soup instead of meat, it would make it more figure friendly while keeping off hunger for longer. White chicken recipe Is still among many optimal/optimally cream recipes that's clearly a little different in the customary as it's maybe not curry established. This really is constructed from chicken, cream, yogurt and lots of spices therefore be certain the individuals who that you are serving it appreciate hot food items and don't have any allergies . Just lately I attempted this mouthwatering recipe, this really certainly one of those dish that was yummy. Try this white chicken recipe, this is quite easy to make at your home kitchen. They say Chicken Soup is useful for the spirit, yet shouldn't something be said about the body? We should investigate Chicken Soup as a restorative solution for the basic chilly. Was Grandma right, on the off chance that you eat chicken soup when you're battling the basic chilly, will it help?You can Visit http://event.seattlelimo-limousine.com/2014/08/birthday-party-limo-service-limo.html this very good website. I find it online. This soup is so delicious in the winter. I love to learn more soup recipes, thanks for sharing. Hey, I am also going to try this amazing recipe. Chicken is a good source of vitamins and always I try to serve chicken soup before the main meal. Last night I visited PNT and read hot n sour chicken soup recipe . It was amazing.